Alter Bridge are streaming live audio of the track, “Metalingus”, as a preview to the September 8 release of a new collection, “Live At The O2 Arena + Rarities”, via Napalm Records. The track from the band’s 2004 debut, "One Day Remains", was formerly featured by WWE superstar Edge as his ring entrance music from the time it was released until his retirement in 2011. The forthcoming 3-CD package captures Alter Bridge in concert at the London O2 venue on November 24, 2016 alongside a disc of 13 rarities from their career. While the first two discs feature the live performance, the third disc delivers 13 rarities from their career, including never-before released tracks "Cruel Sun" and "Solace” that were recorded during the sessions for their 2004 debut, “One Day Remains”, as well as the song “Breathe” from the same time which has only ever been available as a US retail exclusive via Best Buy. These tracks join seven other songs that have only been released in Japan until this collection. 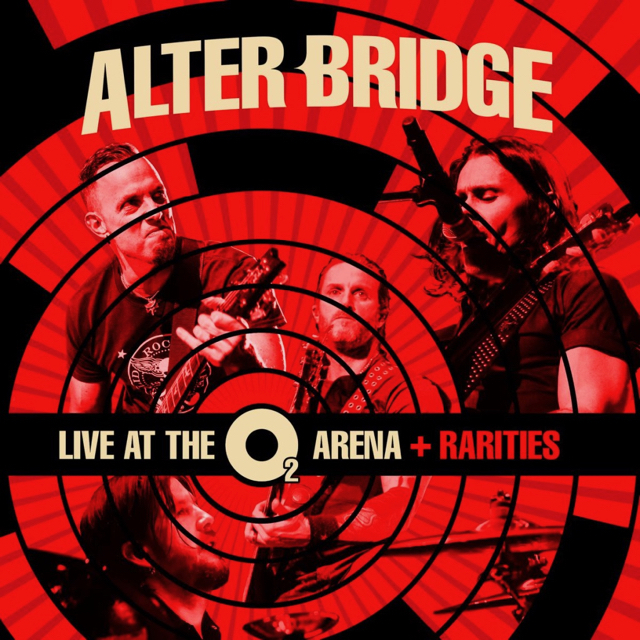 “Live At The O2 Arena + Rarities” will be available as a 3CD set, and limited deluxe editions – including a 4-LP set and a CD/DVD Earbook – which also include an exclusive Alter Bridge documentary featuring extensive interviews with the band, their crew, and family, giving a glimpse behind the scenes of the group’s biggest UK show to date. Alter Bridge just wrapped up a handful of US shows and will head to South America for more dates next month. The group will launch a fall tour of Europe with a pair of shows at London’s Royal Albert Hall in early October.